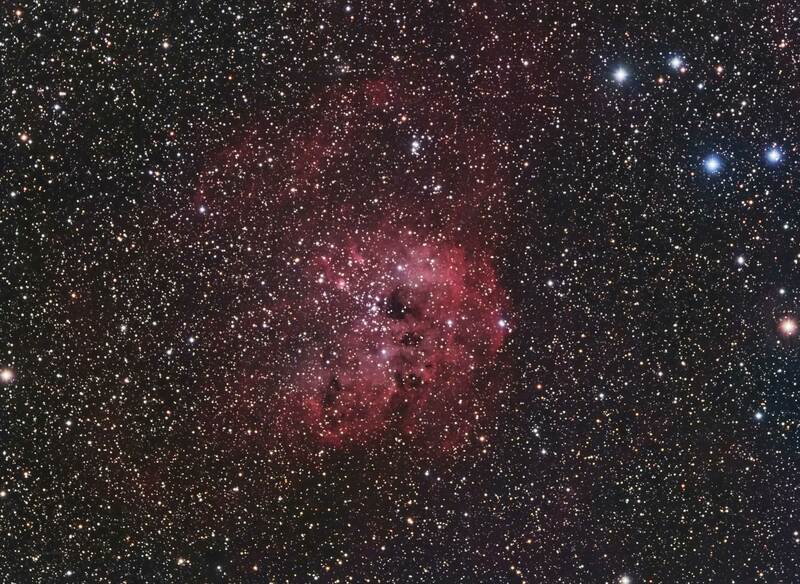 IC 410 is an emission nebula in the constellation Auriga. It is about 12,000 light years away and appears to be 55 x 45 arc minutes in size. It is also known as the Tadpole nebula and if you look carefully at the left center of my image you will see the two globules that look like tadpoles. The Tadpoles are star formation areas each having their own designations Sim 129 and Sim 130. They get their shape from very hot and young stars blasting out ultraviolet radiation and shaping the surrounding gas to appear like tadpoles. The stars inside are very young, about one million years old, and are about 10x the size of our own sun. 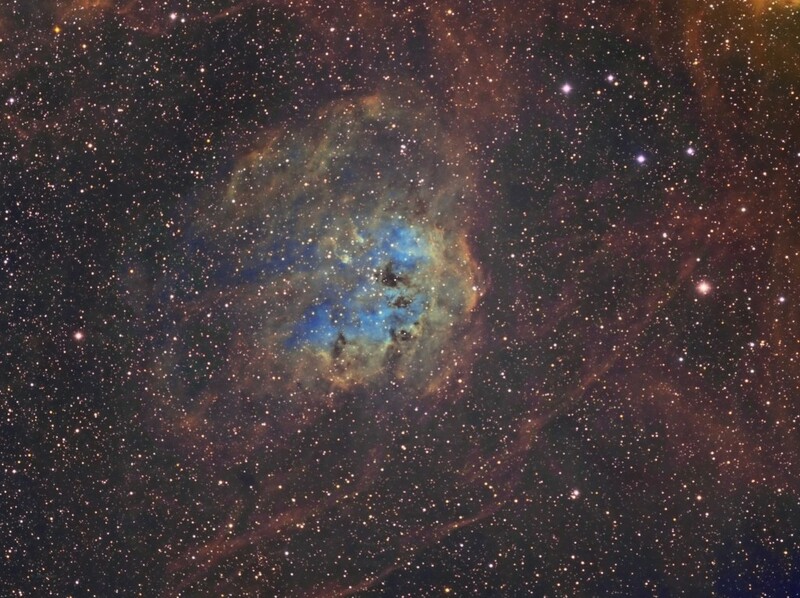 Emission nebula IC 410 is illuminated by a young and bright star cluster called NGC 1893. To find it in my image just follow the tadpoles, they appear to be swimming right to it. This cluster is very young at about 4 million years old and contains several hundred stars. There are also a few dark nebula nearby. It is these dark nebula that give the nebula what appears to be ears, eyes, and a mouth that resemble a profile of a monkeys head. (I think the overall nebula looks like the profile of a monkey head but there is already another nebula with this name).